Personal Data Service |J-DEX|Japan Data Exchange Inc.
Once leakage occur, it becomes a big social issue. Data utilization technology is progressing rapidly, while, there may be a few who have enough knowledge how data are treated in business, governmental organizations and universities. 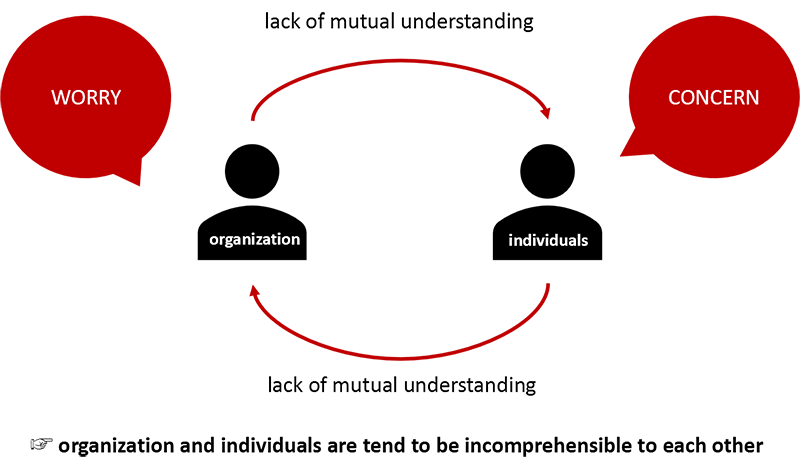 Data are treated strictly and adequately by well governed organizations. However, in the past, not a few firms have caused troubles which gave quite big impacts of fear, threat and anger to consumers by lack in personal consents and expected explanations, and unpreparedness toward malicious attack. 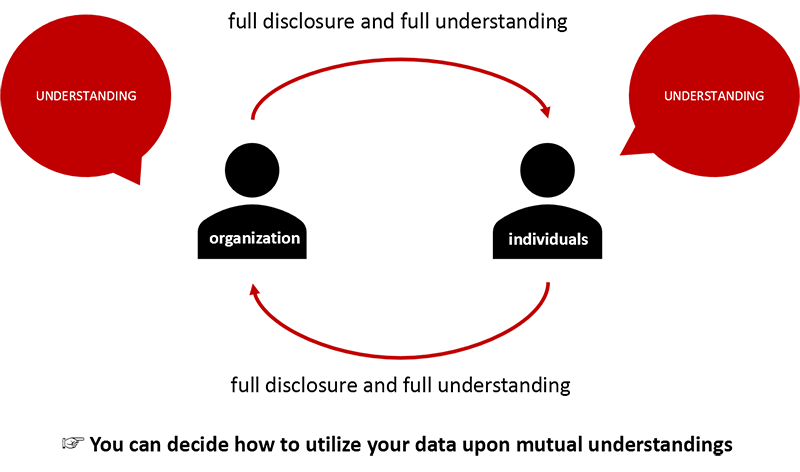 Many organizations are searching an appropriate way. How can we use your daily data, in simple and convenient, and delightful way for you? On the other hand, you may hesitate not only to offer your personal data but just use services provided by the organizations unless you feel safe and secure. It is quite time consuming for individuals to just understand enormous rules and complicated technologies and services. The term ‘personal information’ as used in this Act shall mean information about a living individual which can identify the specific individuals by name, date of birth or other description contained in such information (including such information as will allow easy reference to other information and will thereby enable the identification of the specific individual). Therefore, data, those are obtained through smart-phone and other related devices, buying behaviors at convenience stores, café, and on-line shopping, can be processed into anonymous and expected to be utilized more under certain standard or condition as Anonymously Processed Information. However, on the other hand, when turning eyes to overseas condition, EU defines ‘Personal Data’ as ‘any information relating to an identified or identifiable natural person. Likewise, in the US, ‘Personal Data’ is defined as follows. And as in Japan, also, ‘personal data’ is defined as ‘personal information constituting a personal information database etc.’ explanation is made based on application guidelines and it is translated as follows; information relating to a living individuals meaning any and all matters (excluding an individual identification code) stated, recorded or otherwise expressed using voice, movement or other methods in a document, drawing or electromagnetic record (meaning a record kept in an electromagnetic form (meaning an electronic, magnetic or other forms that cannot be recognized through the human senses. 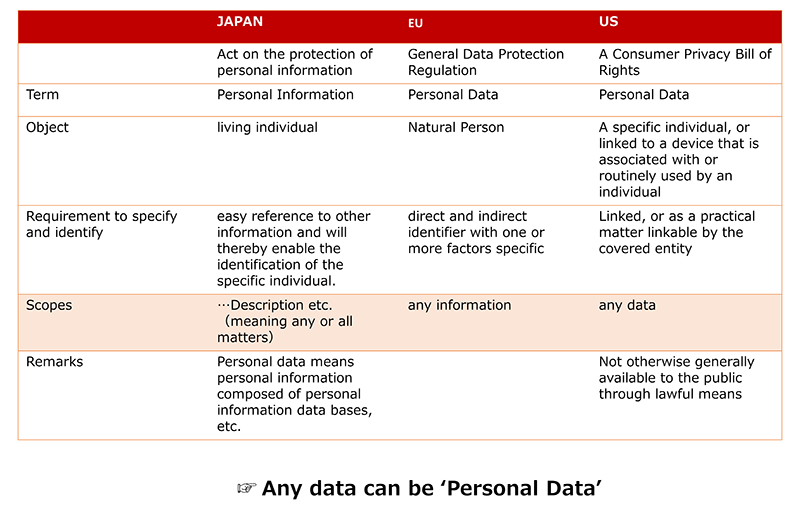 The point is, under certain condition, every country states that Personal Data can be defined as any information (EU), any data (US), any and all matters stated (Japan). In other words, the definition of the personal data must be interpreted, by accordance with the time and place, with the mutual understandings in-between organizations and individuals every time transaction takes place. In this way, definition of ‘personal data information on individuals’ is very vague. That is why we consider personal data should be data which individuals can freely collect, manage, and decide purpose of usage by and for him/herself. Yes, this is the time you choose how to utilize your data. In real, your personal data are scattered all around. For example, various membership services in everyday life, utilized applications, computers, and smart-phones, etc. Data may be piled up automatically. Without any effort, it must be too difficult to manage all data by yourself. JDEX is aiming to serve and offer the way to make full usage of your data to yourself, not to the other party. JDEX will make your data management, collection, control, and transaction simple and more understandable ever. We aim to offer the service that is neutral, reliable, and clear to support you to manage your data how to utilize. With promoting data wide range of data utilization and respecting your will and rights. We hope and try to be an enterprise to contribute to the society to solve social problems. Copyright © 2018 Japan Data Exchange Inc. All Rights Reserved.